Learn how to make seven of the best homemade and healthy salad dressing recipes that are gluten-free, vegan, and made with an olive oil base. With only a few simple ingredients, and less than 5 minutes, you will be able to dress up your spinach salad with a balsamic vinaigrette, honey mustard dressing, or even an Asian ginger salad dressing! Buying packaged salad dressing can not only get expensive, but it can also squash any health benefits you originally thought you were getting from that beautiful kale or spinach salad! Instead, you can make your own homemade salad dressing recipes in only 5 minutes and with simple, easy to find ingredients. And in reality, you probably already have most of these healthy salad dressing ingredients on hand! Below you will learn how to make a healthy salad dressing at home, what tools and utensils you might need, ingredients in vinaigrette dressings, the best way to mix up your dressings, and seven easy salad dressing recipes for you to try! 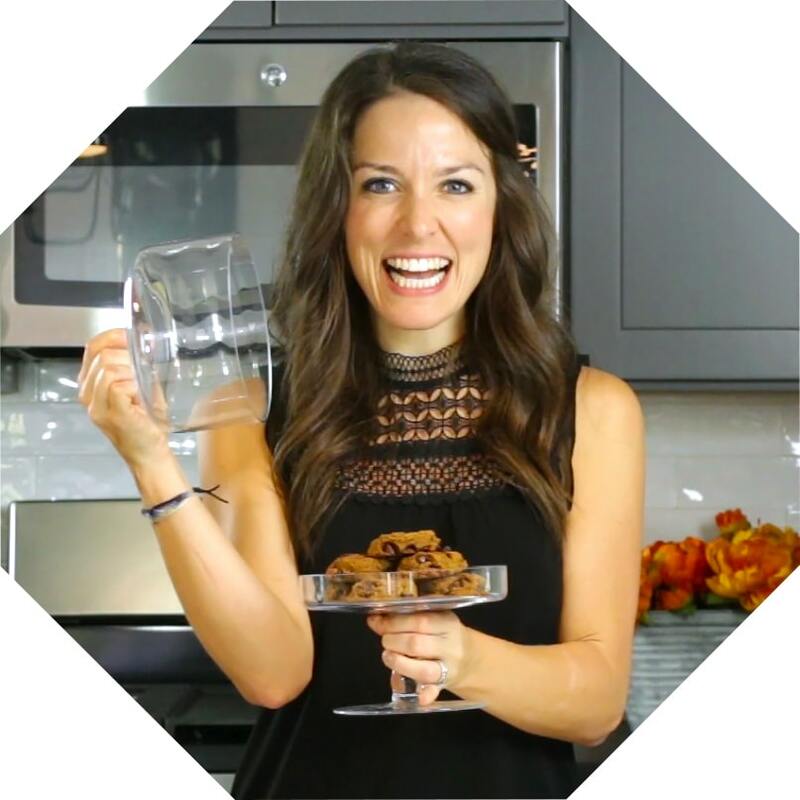 Below you will learn how to make a healthy salad dressing with a few simple ingredients from your pantry or refrigerator. To make a homemade salad dressing add your ingredients to a food processor or blender and blend until smooth. 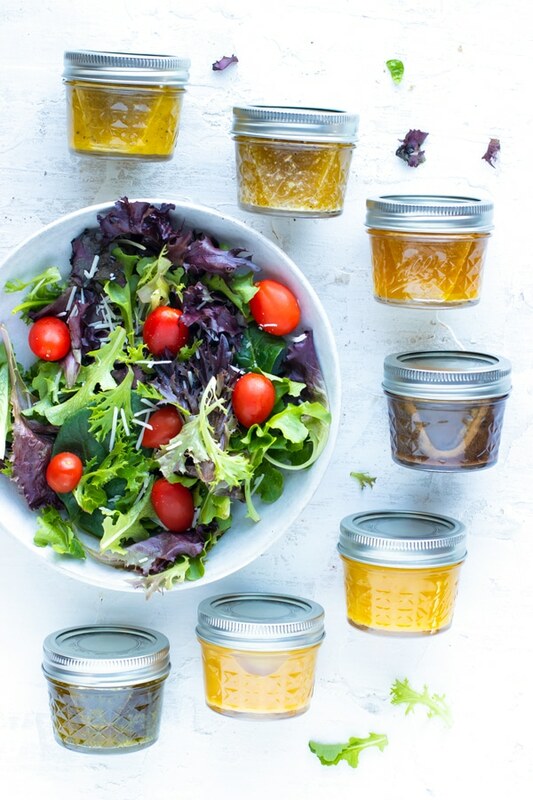 You can also add the salad dressing ingredients to a mason jar with a lid and shake until well combined. 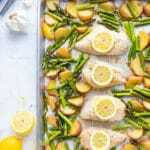 Unlike mayonnaise or cream-based salad dressings, the recipes you will find below are olive oil based and are often referred to as vinaigrette dressings. 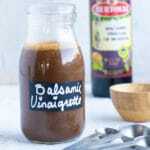 A vinaigrette is simply a combination of oil and an acidic component, typically some type of vinegar, that is then shaken or blended together to form a salad dressing. What are the key ingredients in a vinaigrette? Oil – The key component in any salad dressing recipe. Extra virgin olive oil is the best oil to use when making a homemade vinaigrette. 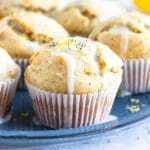 You can also use sunflower oil or avocado oil for similar results. 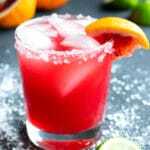 Vinegar – Vinegar often acts as the acidic component in a salad dressing recipe. 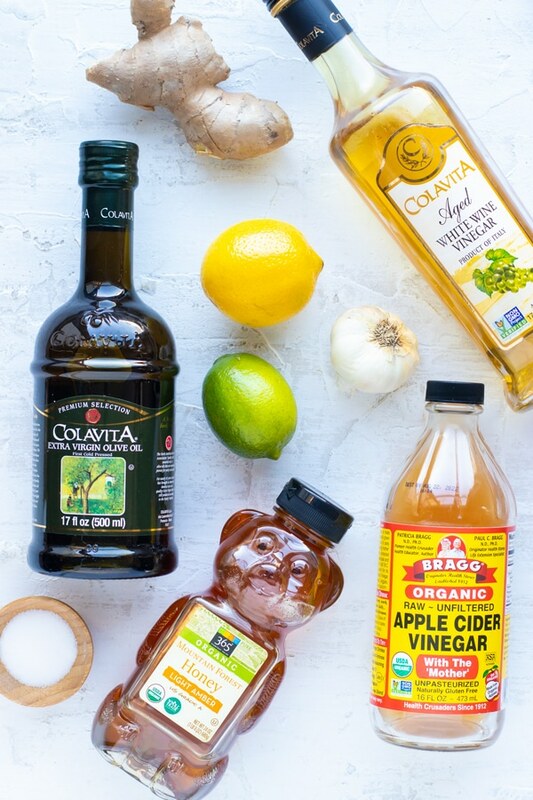 Balsamic, white wine, red wine, rice wine, and apple cider vinegar are all wonderful vinegars to try and are used in the recipes below. 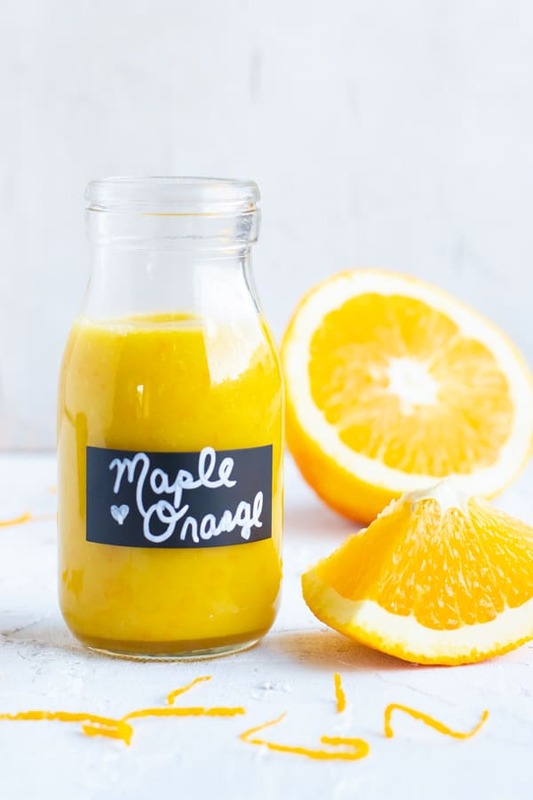 Citrus – Lemons, limes, and oranges help add additional acidity to salad dressings while also giving them a touch of sweetness. 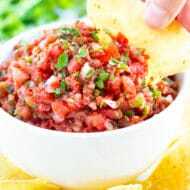 Seasoning – You can add a variety of flavors to salad dressings by adding seasonings such as ginger, garlic, herbs, or spices. 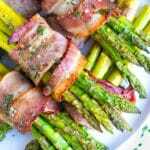 Sweet – While not all salad dressing recipes have a sweet component, honey, maple syrup, and sugar work great when trying to balance the acidity of vinegar in the recipe. 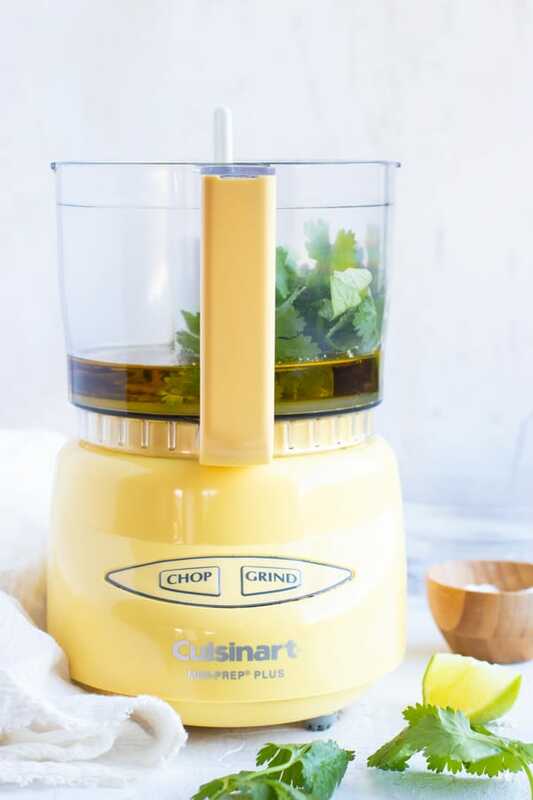 Food processor – A mini-prep food processor works great when blending fresh herbs or larger ingredients. Blender – My favorite way to make salad dressings is in our NutriBullet. It’s small, easy to clean, and emulsifies the dressings nicely. You can also use a Vitamix. 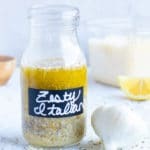 Jar with a Lid – While simply shaking your ingredients together in a jar will not completely emulsify your salad dressing, it does get the job done and eliminates something additional to clean. Bowl with a Whisk – This would be the last resort. It takes additional time and the salad dressing will tend to separate unless whisked for a few minutes. 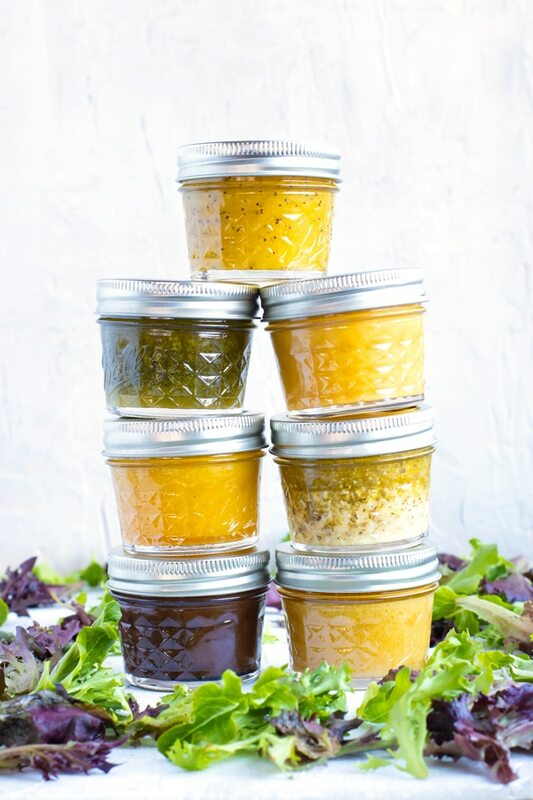 After preparing your healthy vinaigrettes, what is the best way to store them? 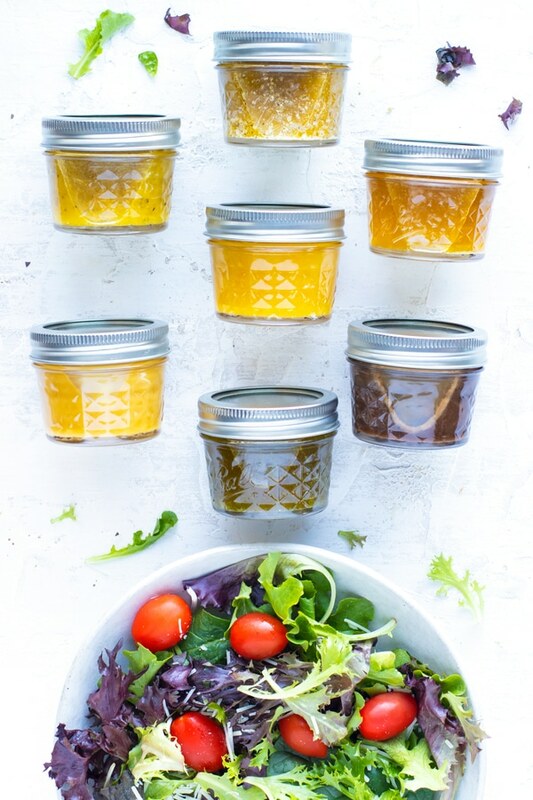 Glass jars that have an airtight seal, such as these 4-ounce and 8-ounce mason jars, are the best containers for storing and refrigerating salad dressings. Unlike plastic, glass does not leach a plastic taste into the salad dressing. How Long Do Homemade Salad Dressings Last? 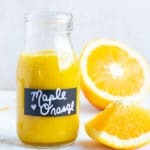 Homemade salad dressings that do not contain fresh ingredients (i.e. 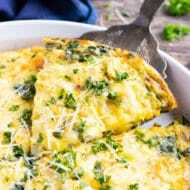 citrus, herbs, cheese) will last for up to two weeks if stored in an airtight container in the refrigerator. 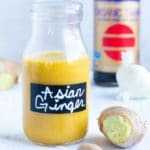 Salad dressings that do contain perishable ingredients (like the Asian ginger dressing and Zesty Italian Dressing below) are best if enjoyed within a week of preparing and refrigerating. 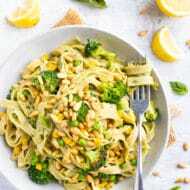 There are a multitude of different salad dressings you can either make at home or buy in the store from Ranch and caesar dressings to balsamic vinaigrette and honey mustard dressing. Below you will find my 7 go-to salad dressings that you can whip up at home when you need to dress a spinach or kale salad. 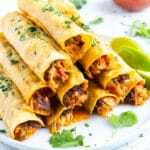 All recipes prepare enough for 5 servings at about 2 tablespoons per serving. Learning how to make balsamic vinaigrette was my first forray into the world of homemade salad dressings. It is super easy to make and tastes great on just about any kale or spinach salad! Try it out in this Chopped Mixed Greens Salad or in this Arugula Fig Salad. With only a few simple ingredients, and less than 5 minutes, you will be able to dress up your spinach salad with a balsamic vinaigrette dressing! 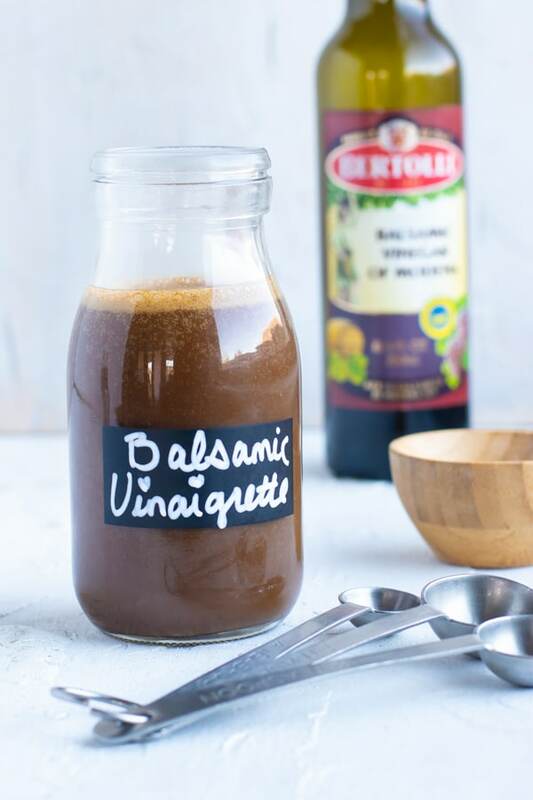 Store balsamic vinaigrette dressing in refrigerator for up to two weeks between servings. Enjoy! 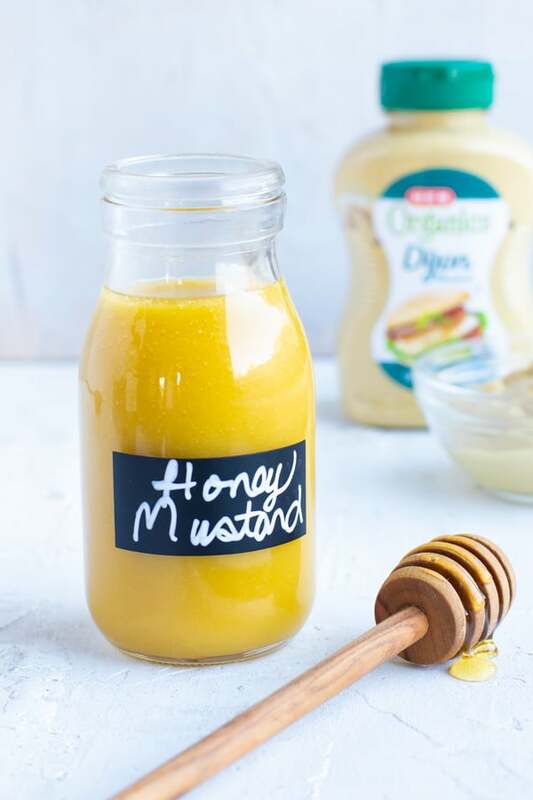 This healthy honey mustard salad dressing recipe is one of my favorites to make! You can try it on this Chicken Cobb Salad or as a dip for these Paleo Chicken Tenders. With only a few simple ingredients, and less than 5 minutes, you will be able to dress up your spinach salad with a honey mustard dressing recipe. 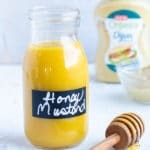 Store honey mustard dressing in refrigerator for up to two weeks between servings. Enjoy! Zesty Italian Dressing is a healthier version of the one found at Olive Garden. It tastes great on a salad full of bell peppers and red onions, or in this Italian Dressing Pasta Salad. With only a few simple ingredients, and less than 5 minutes, you will be able to dress up your spinach salad with an Italian dressing vinaigrette. 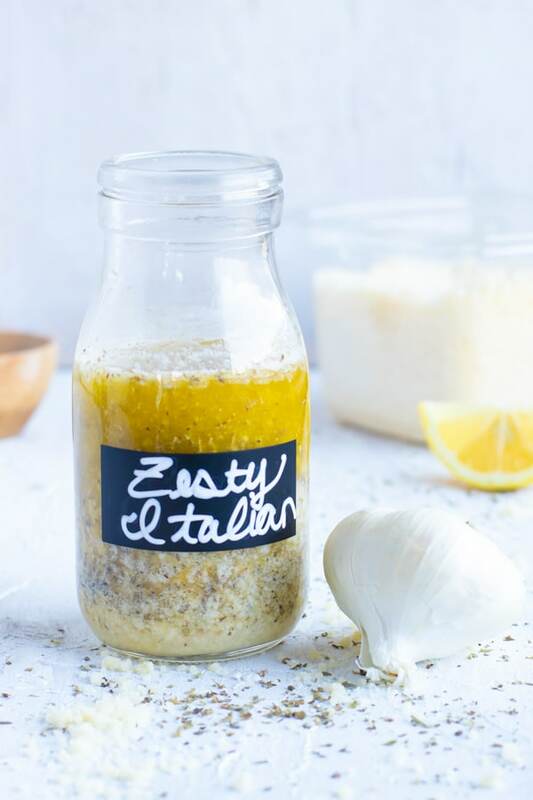 Store zesty Italian dressing in refrigerator for up to one week between servings. Enjoy! 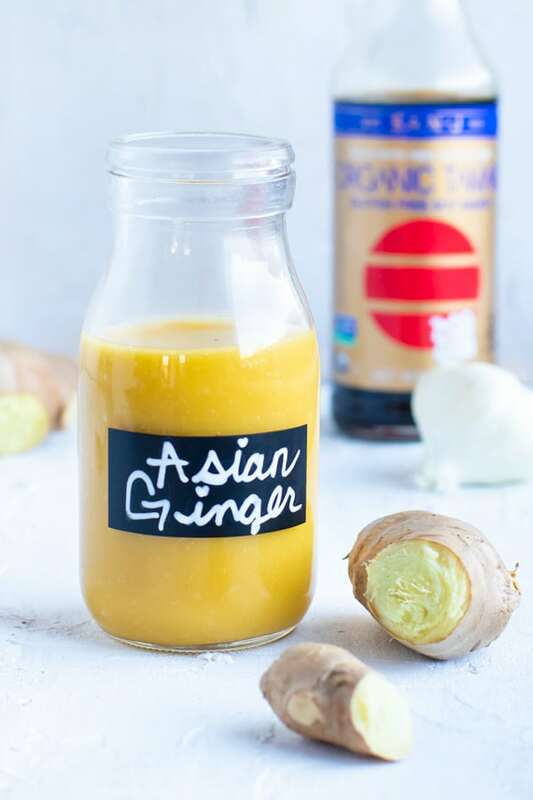 This ginger Asian dressing recipe is super light and refreshing and tastes incredible on everything from a chopped Brussels sprout salad or to freshen up a spinach salad full of broccoli and carrots. 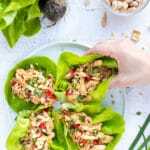 With only a few simple ingredients, and less than 5 minutes, you will be able to dress up your spinach salad with a an Asian ginger salad dressing! Store Asian ginger dressing in refrigerator for up to one week between servings. Enjoy! This simple vinaigrette dressing recipe was made quickly on a weeknight to add to our chopped kale salad. Little did I know that we would love it so much that I brought it to our Thanksgiving dinner! 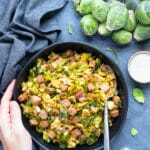 Be sure to check out and use it on this Chopped Kale Salad with Cranberries for a delightful taste combo. 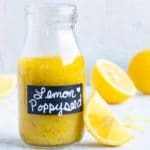 When the weather starts to warm up a bit in the Spring, reach for this lemon poppy seed salad dressing recipe! It’s light, refreshing, and compliments just about any salad recipe perfectly. Try it in this Summer Vegetable Quinoa Salad recipe! With only a few simple ingredients, and less than 5 minutes, you will be able to dress up your spinach salad with a lemon poppy seed vinaigrette! 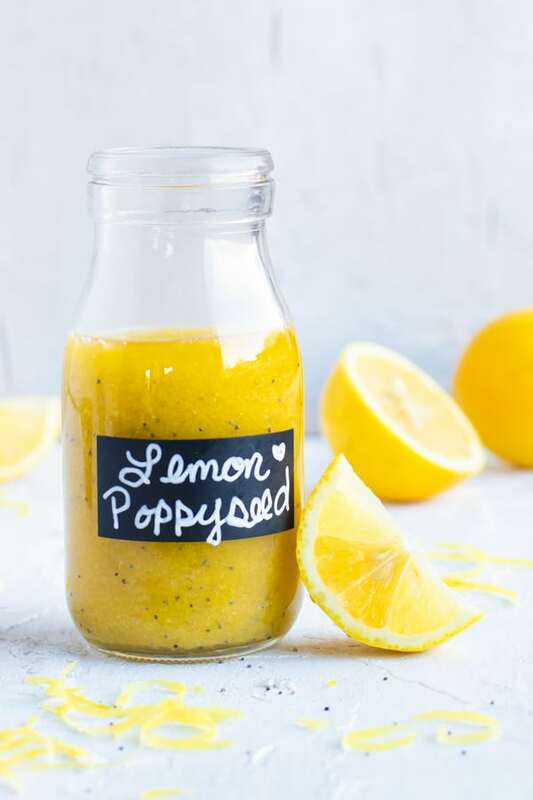 Store lemon poppy seed dressing in refrigerator for up to one week between servings. Enjoy! 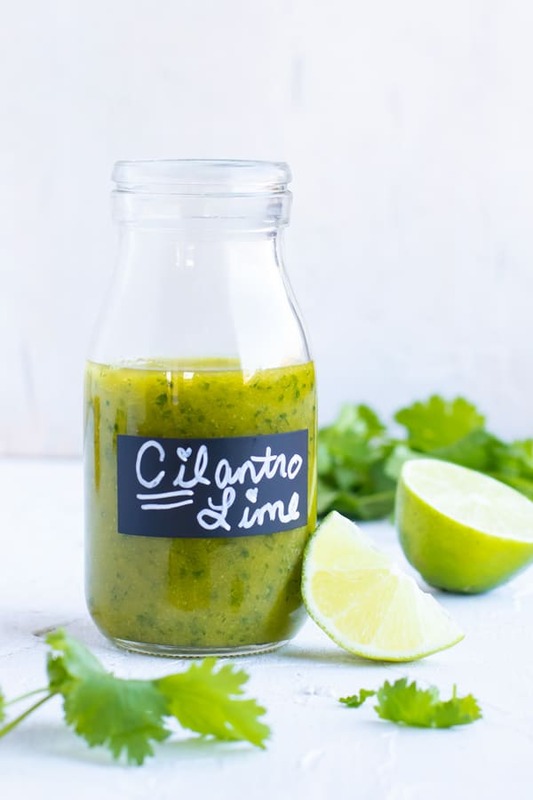 What I love the most about this cilantro lime vinaigrette is how a bulk of the healthy salad dressing is made from fresh cilantro! This helps to cut the calories drastically by still adding loads of flavor. Try this vinaigrette dressing out on this Tomato and Avocado Chicken Salad recipe. With only a few simple ingredients, and less than 5 minutes, you will be able to dress up your spinach salad with a cilantro lime vinaigrette! 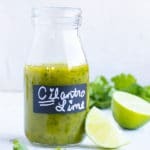 Store cilantro lime dressing in refrigerator for up to one week between servings. Enjoy! I could honestly eat a salad every single day and kind of collect dressing recipes like they’re going out of style! 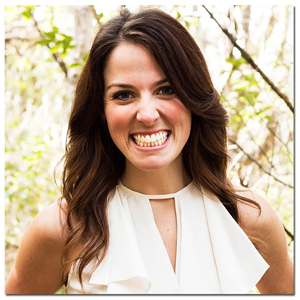 Thanks for sharing these and I will certainly give some of them a try!